Hello there everyone! I wanted to make a quick post letting you know that I have six brand new videos on the way. I made a post on my YouTube channels community page. I figured I’d mirror this information here so that way no one misses out. Hello there everyone! 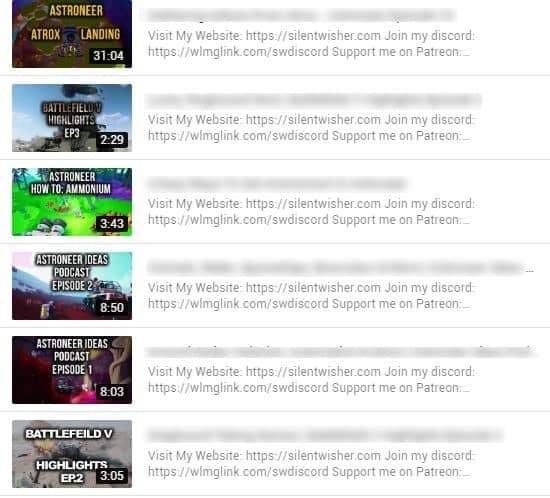 I wanted to make a quick little post letting you know and showing you that I have six new videos ready to go for you guys. I will be releasing them over the next couple of days, so I really hope you enjoy them especially the videos that are an entirely different format, specifically a podcast format. I also have some other videos that I’m working on, and I will update you with more info when available. Anyways check out the screenshot below so you can see what’s coming and keep an eye out on your subscription feed and your email.